Will Elizabeth and Will choose the path of love or honor? Elizabeth knows what her duty is. She is to marry Carlyle and form an alliance between their families. However, the moment she sees Will, she loses her heart to him. I must admit that I’m not usually a fan of “love at first sight” romances. But Ms. Bodine and Ms. Rosemoor make it extremely easy to believe that Elizabeth and Will are soul mates. I was able to completely lose myself in their story. Every time they were together, it just felt right. Their passion for each other is strong, and my heart ached as they tried hard to fight against their attraction. As their feelings intensify, Elizabeth and Will must choose between their love and their duty to their families. The choice they make will have consequences that ripple across centuries. I really admire Elizabeth. In a time when woman had very few choices, she is unbelievably strong. She is devastated the moment she realizes that she is to marry Carlyle instead of Will, but she holds herself together, determined to make her father proud. Even though she has an instant and unexplainable dislike for Carlyle, she tries very hard to see the good in him, but as I read, I had to wonder if there was any good to be found in the man. Carlyle desperately wants to marry Elizabeth, but his intentions aren’t exactly honorable. I raced through the pages wondering not only who she would choose, but if Elizabeth’s ending would be a happy one. Cordelia has never truly been in love. When she discovers Elizabeth’s journal, she finds herself yearning for the kind of connection Elizabeth and Will shared. Like Elizabeth, Cordelia finds herself pursued by two very different men. Innis is a young man she once had tender feelings for. Morgan is a pirate with roguish charm. At first, Cordelia is certain she knows which man is the better of the two, but appearances can be deceiving. It became clear to me pretty quickly which man Cordelia needed to chose, and I grew a little impatient as I waited for Cordelia to figure it out. I confess I became frustrated as Cordelia allowed her judgment to be swayed time after time when the truth was right in front of her. Through the pages of her journal, Elizabeth reaches through time to guide Cordelia, but will it be enough to prevent tragedy? Written in the Stars is a thoroughly enjoyable book. Elizabeth and Will’s romance is very compelling. 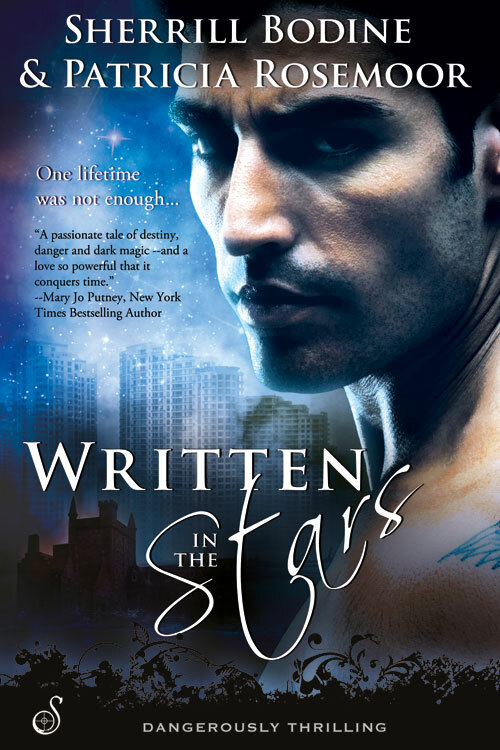 Anyone looking for a tale of love, loss, and magic would do well to pick up a copy of Written in the Stars today.